I’m the economics correspondent for the PBS NewsHour–have been for 30 years. I am writing about an economics book I’ve helped shepherd (or doula) into print: Get What’s Yours: The Secrets to Maxing Out Your Social Security. This unchain letter is a bid to introduce the book–or at least its key points–to the largest possible network. 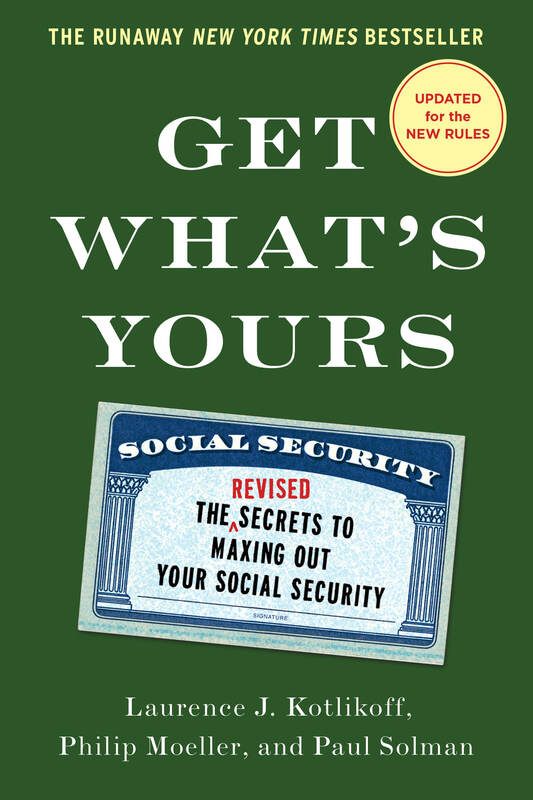 The book was conceived after a bout of tennis four years ago when a close friend, Boston University economist and friend Larry Kotlikoff, asked my own Social Security plans, found that my wife and I were on the cusp of full retirement age (66), but waiting until 70 to collect the maximum benefit. Are you planning to take spousal benefits? he asked. A supposed economics “expert,” I’d never heard of them. Four years later, we’ve started taking maximum benefits. But in the interim, I’ve collected nearly $50,000–$50,000 to which we, having paid into the system all our lives, were entitled, yet knew nothing about. All my wife had to do was file for SS–officially register herself in the system, that is–and then suspend her benefits until age 70. I then applied for, and promptly began getting, my spousal benefit on her record. The woman on the phone at SS was baffled when I first told her what I wanted to do. She consulted an expert, returned to the call and thanked me. To enlarge the pool of the enlightened just a bit further than one accommodating person in the Boston Social Security operation, however, I began publishing Larry on Making Sen$e, our PBS NewsHour web page — to alert as broad an audience as possible to spousal benefits and other Social Security “secrets.” You can access the last two-and-half-years’ worth of his every-Monday “Ask Larry” column and, in the form of answers to viewer and reader questions, get pretty much all the advice the book provides. But wanting to spread the net still wider, Larry and I decided to write a book, enlisted a third co-author–longtime personal finance journalist Phil Moeller–and on February 17,Get What’s Yours was published by Simon & Schuster. It’s been on the Amazon and Barnes & Noble top ten lists pretty much ever since and should be of considerable use to almost anyone who consults it–as it has been, pretty dramatically, to many of my friends. Forty-one percent of American men and 46 percent of women apply for Social Security at 62. For many of them, that’s almost surely nuts, as we explain in the book. And one of the key reasons they do–fear that Social Security is so broke they won’t get any benefits–is nuttier still. Some 3.5 million baby boomers hit retirement age every year. Average age at which they start taking benefits? Something like 63. ​Percentage of Americans who wait until 70? Less than two percent. You may or may not know that Larry is a noted critic–some would say crank–on the subject of Social Security’s solvency. He actually thinks that improving Social Security’s cash cushion would lessen the pressure on Congress to act. I think, by contrast, that Congress will act–at some point. And so the last chapter of the book is a spirited disagreement among the three authors on the system’s future. But the rest is detailed advice, meant to be as helpful as possible – to the widowed, the divorced (eligible for spousal benefits if married for 10 years or more), the disabled, gay couples. 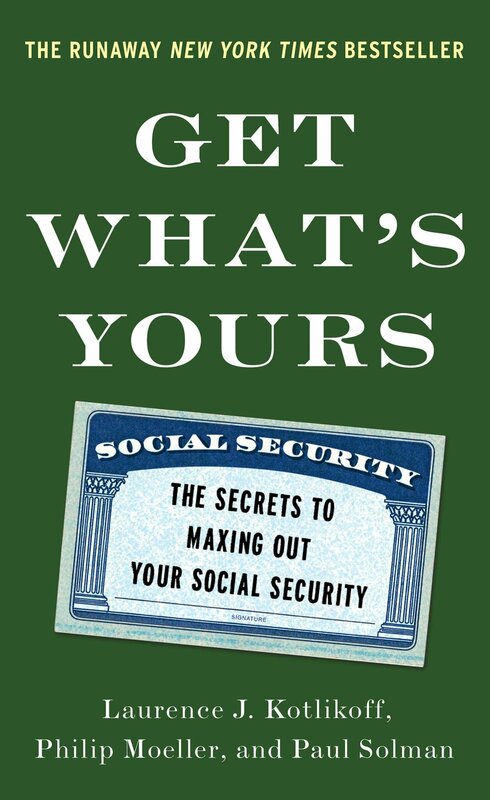 This link will give a better sense of it: Get What’s Yours: The Secrets to Maxing Out Your Social Security. The request is simple: that you send this email to a dozen or more people on your list who you think would benefit from knowing about it and ask them to do the same. And post it or Ron Lieber’s incisive New York Times piece about Get What’s Yours on your Facebook page–assuming you have one, that is. If you do not send this email on, nothing bad will happen to you. Nothing bad as a result of not sending, I mean. But if you do, you’re almost assured of some appreciative emails in return. There are 77 million or so baby boomers. Ten thousand of them turn 66 every day. Most are hopelessly in the dark.